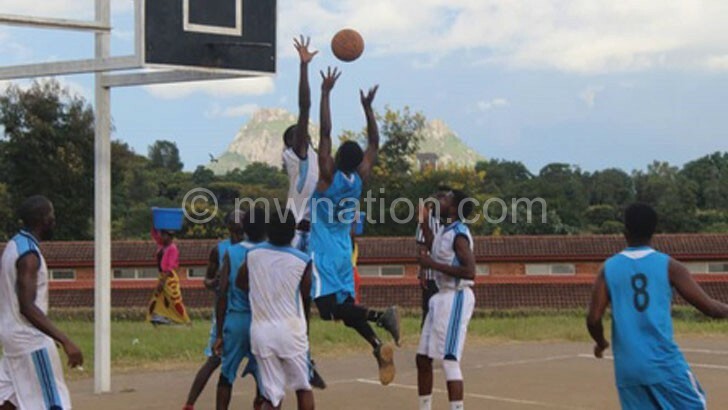 Basketball Association of Malawi (Basmal) has warned teams that have not paid registration fees in the Mo626 College Basketball that they risk disqualification. In a statement issued on Monday, Basmal says teams that have qualified for the elite eight stage, but have not paid the fees, risk losing their slots to the next available sides on the log table. “[And] teams that did not qualify for elite eight and failed to pay registration fees shall not be allowed to participate in the third [next] edition that will commence later this year,” reads part of the communique signed by the association’s vice-general secretary Banthali Banda. Meanwhile, Basmal says the finals of the Mo626 College Basketball tournament will be held on April 6 at Chancellor College in Zomba. The semi-finals of the National Bank of Malawi (NBM) plc-sponsored showcase are slated for a day earlier at the same venue. Banda further said the double knockout format will be used in the elite eight scheduled for March 30 at Malawi University of Science and Technology (Must) in Thyolo to identify the semi-finalists. “The elite eight teams in each category will receive a set of uniform for 15 players, balls and NBM-branded T-shirts,” he said. Banda further said travelling teams will receive incentives for logistical purposes. Three teams each from Centre and South that will compete in the elite eight, have already been identified in both men’s and women’s categories while remaining two slots in each category will be identified this weekend through play-offs that will involve the North and Eastern zones in Mzuzu.